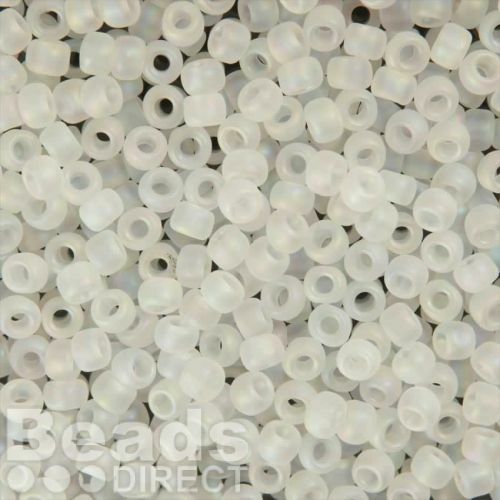 These Trans-Rainbow Frosted Crystal Size 6 Roundseed beads are made in Japan and excellent quality. This larger sized seed is great for seed bead projects as well as other arts and craft. The beads are frosted white, when they catch the light they have a slight shine on them. Commentrealy nice beads all the same size very good quality.